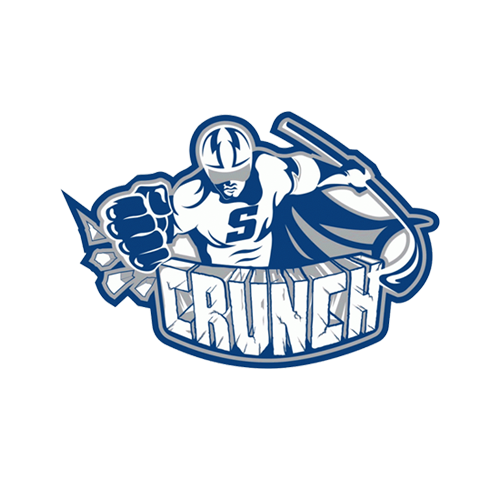 The Utica Comets fell into an early hole that they could not dig themselves out of en route to a 4-1 loss to the Lehigh Valley Phantoms on Friday evening at the Utica Memorial Auditorium. The Comets record now sits at 2-8-1-0. Captain Carter Bancks (1-0-1) potted the Comets lone tally on the evening while Alexandre Grenier (0-1-1) picked up an assist to extend his point streak to four games. Richard Bachman recorded the loss with a 24-save performance in his third consecutive start. The Comets fell behind just 2:19 into the game when Corban Knight collected his third goal of the year after he capitalized on a defensive zone turnover. The Comets had plenty of first period chances that they failed to convert on, highlighted by a Colby Robak breakaway that beat the Phantoms’ goaltender but rang off the goal post. The second period gave the Comets plenty of chances to tie the game up with three early power-play opportunities to begin the third period. 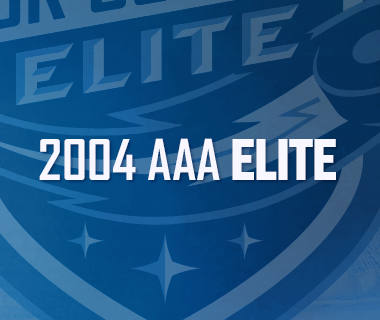 The Comets seemingly good fortunes backfired as they allowed a short-handed goal to Reece Willcox six minutes into the period. Less than four minutes later Colin McDonald added to the Phantoms tally when he capitalized on another Comets defensive zone turnover. A penalty shot goal from Nicolas Aube-Kubel staked the Phantoms to a 4-0 lead before the Comets finally put a goal in of their own. After he received a pass from Grenier, John Negrin fired a shot through traffic that Alex Lyon kicked to the side. However, Bancks pounced on the rebound and picked up his third goal of the season. The Comets successfully killed off all three of the Phantoms’ power-play opportunities, and have successfully killed off seven of their last eight penalties. The Comets six game homestand continues tomorrow night at The AUD. The Comets welcome the Hartford Wolf Pack to The AUD for the first time this season. 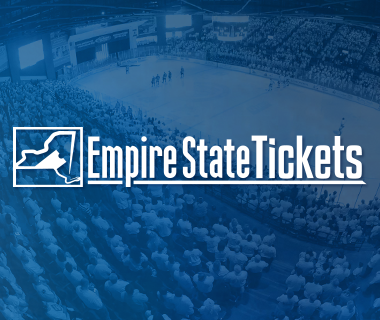 Puck drop is scheduled for 7:30 p.m.
Tonight’s Game:The new-look Utica Comets kick off their season-high six-game homestand with tonight’s contest against the Lehigh Valley Phantoms. Tonight, the Comets will honor the men and women who have served, and continue to serve, our country with Military Appreciation Night. 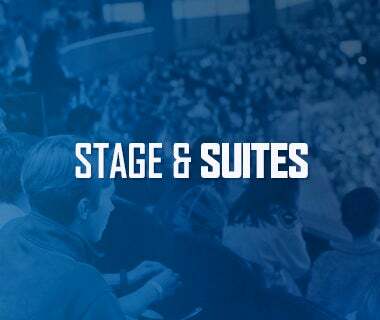 Full details on tonight’s activities can be found at UticaComets.com. The two-win Comets enter tonight’s contest in seventh place in the North Division with five points in 10 games, while the Phantoms have collected 11 points in 10 games, good for third place in the Atlantic Division. 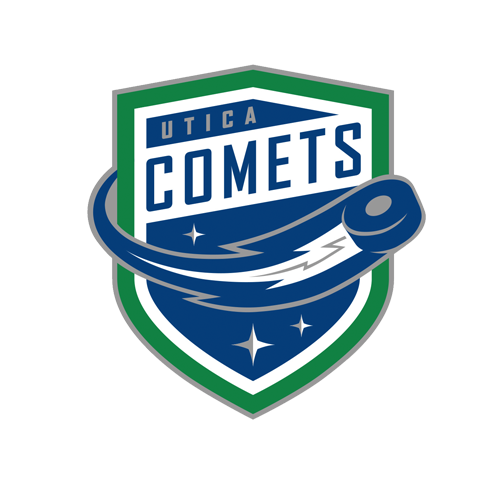 Last Game: The Utica Comets wrapped up their four-game road trip with a 2-1 loss to the Syracuse Crunch Saturday night at the OnCenter War Memorial. The Galaxy Cup series is now all square at two points apiece. Michael Chaput (0-1-1), currently on recall with the Canucks, recorded an assist in the contest, and has now posted a point in all but one of the Comets 10 games this season. Goaltender Richard Bachman made 25 saves in the loss. Head-to-Head: The Comets possess a winning record (3-1-0-0) against the Lehigh Valley Phantoms. All four games were played during the 2015-16 season. Scouting the Phantoms: Tonight’s contest will be tough-sledding for the boys in blue. The Phantoms and Flyers “went for it” this off-season and signed arguably the two most coveted AHL free agents in forward Andy Miele and two-time Eddie Shore Award (AHL’s best defenseman) recipient, defenseman T.J. Brennan. Highlighted by a 72-point campaign during the 2012-13 season, Miele has yet to post a sub 50-point season during his six-year career in the AHL. Brennan, who signed a multi-year deal with the Flyers, led all AHL defenseman in goals (25), points (68), and power-play goals (9) last season. On top of these two, the Phantoms offense has a plethora of point producers, such as 2015 Calder Cup champion Jordan Weal (3-9-12) and Greg Carey (6-2-8), that have powered the Phantoms to the league’s fifth best power play thus far. In net, the Flyers top minor league affiliate is led by 2016 All-Star goaltender Anthony Stolarz who sports a 5-2-0-0 record, a 2.44 goals against average and a .928 save percentage. Surprise Addition: On Wednesday, Canucks General Manager, Jim Benning, surprised Comets fans with the assignment of former sixth overall draft pick, Jake Virtanen, to the Comets. Virtanen, 20, has appeared in 10 games with the Canucks this season registering an assist (0-1-1) along with two penalty minutes. In his debut NHL season in 2015-16, Virtanen appeared in 55 games for Vancouver where he collected 13 points (7-6-13) and ranked second on the team in hits with 128. He also appeared in two games for Utica on a conditioning stint and represented Canada at the 2016 IIHF World Junior Championship. Leader of the Pack:Jordan Subban’s five-game point streak has vaulted him to the top of the league’s leaderboard for goals (4), power-play goals (3) and points per game (1.22) by a defenseman. Subban’s red-hot start to his season is highlighted by four multi-point games in his first nine games. Meet Mr. Robak: Although his Comets debut came last week in Syracuse, tonight highlights the first time the hometown fans can welcome the team’s newest addition, Colby Robak. The 26-year old defenseman, started the season with the Stockton Heat and recorded five points (0-5-5), six penalty minutes, and a +8 rating in six games. His plus-8 rating was tied with three other players for the AHL lead for plus/minus at the time of his signing in Utica. The 2011-12 AHL All-Star has collected 138 points (35-103-138) in 376 career American Hockey League games with the Rochester Americans, San Antonio Rampage, Norfolk Admirals, and Stockton Heat. Injury Report: After spending the previous week practicing with red non-contact jerseys, forward Cole Cassels and defenseman Tom Nilsson returned to team activities in practice this week. 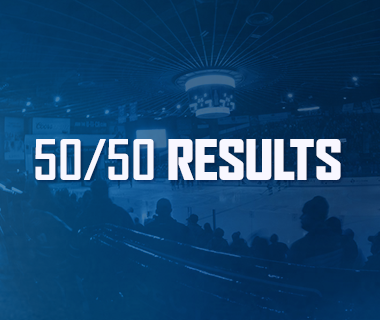 Power Play Bonanza: Converting at a 23.4% rate (10 for 41), the Comets power play has been red hot to start the season and is ranked seventh in the league. The Comets have successfully scored a power-play goal in four straight games entering tonight’s contest. Next Game: The Comets six game homestand continues tomorrow night at The AUD. The Comets welcome the Hartford Wolf Pack to The AUD for the first time this season. Puck drop is scheduled for 7:30 p.m.